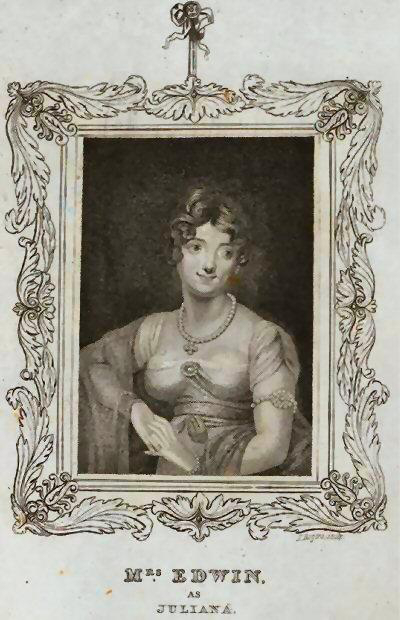 Edwin, Elizabeth Rebecca (1771?-1854): She performed in Dublin and the provinces before appearing with the Drury Lane Company performing at the Lyceum while their house was rebuilt. She played at the Adelphi in two seasons, 1828-1830, in a variety of undistinguished roles. NYPL, Billy Rose Collection.